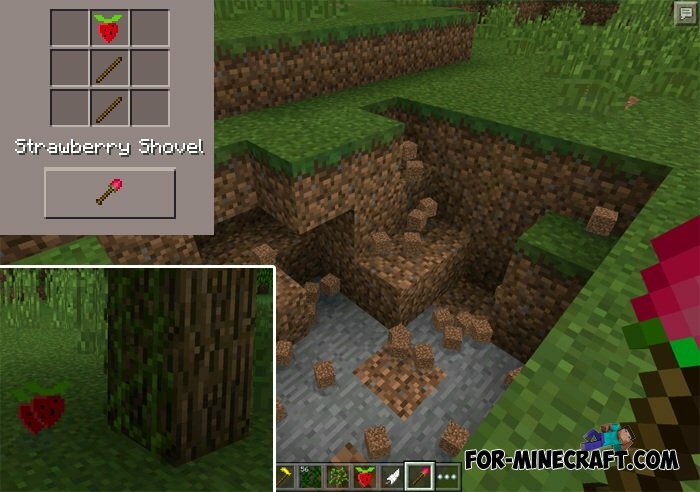 Install this cool mod to replenish your inventory completely new kinds of fruits! 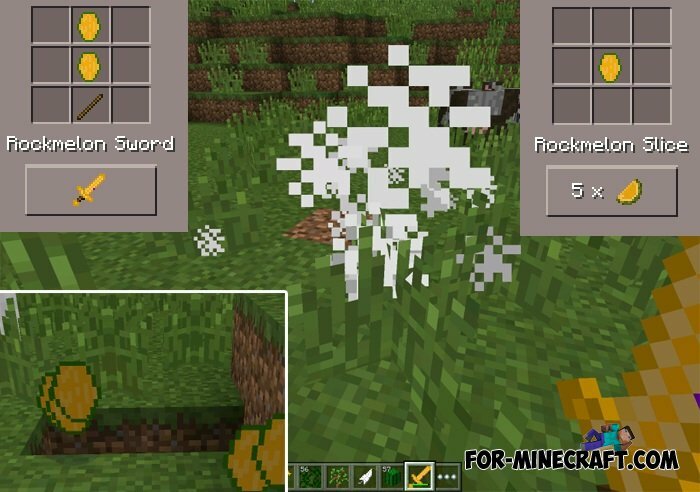 With their help will make a new craft. 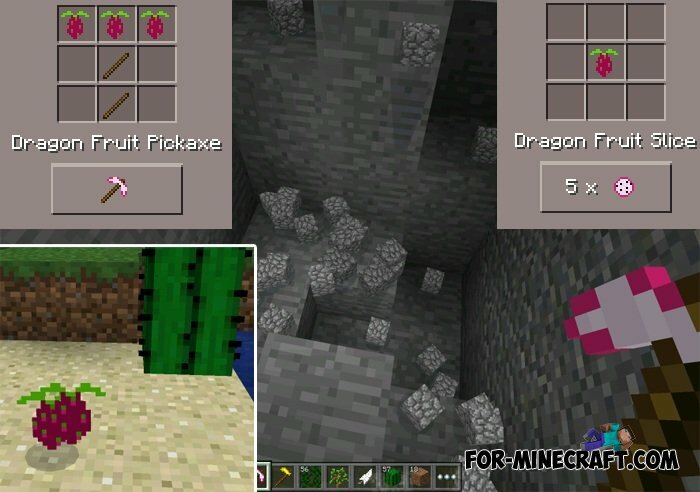 Fruit World mod for MCPE 0.10.5This mod will add new types of fruits and vegetables! 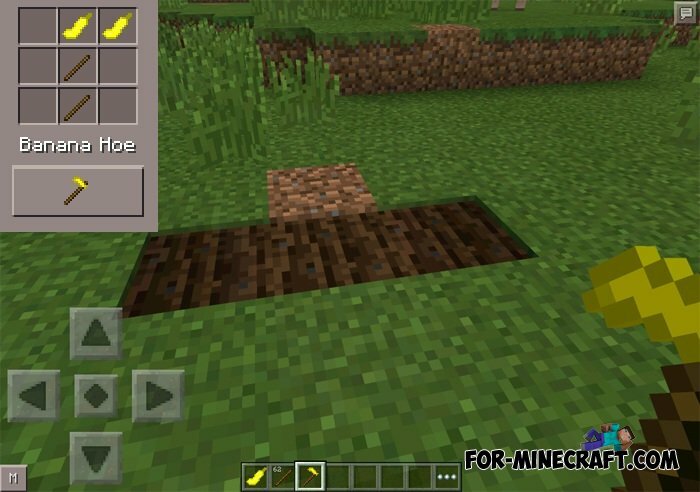 GrowthCraft Mod for Minecraft Pocket Edition 0.10.4GrowthCraft PE mod adds many new features of agriculture in Minecraft PE. Its first objective is to use for wine grapes, hops for brewing beer.